If you would like a chance to win a copy of the very handsome and hefty Indigenous Plant Palettes (R495.00), by Marijke Honig, please head over to my Instagram account @66squarefeet and tell us where in South Africa you garden. The giveaway is very generously sponsored by Quiver Tree Publications, publishers of exceptional South African books. A copy will be posted to the lucky winner. Deadline is 12am (midnight), October 26th. 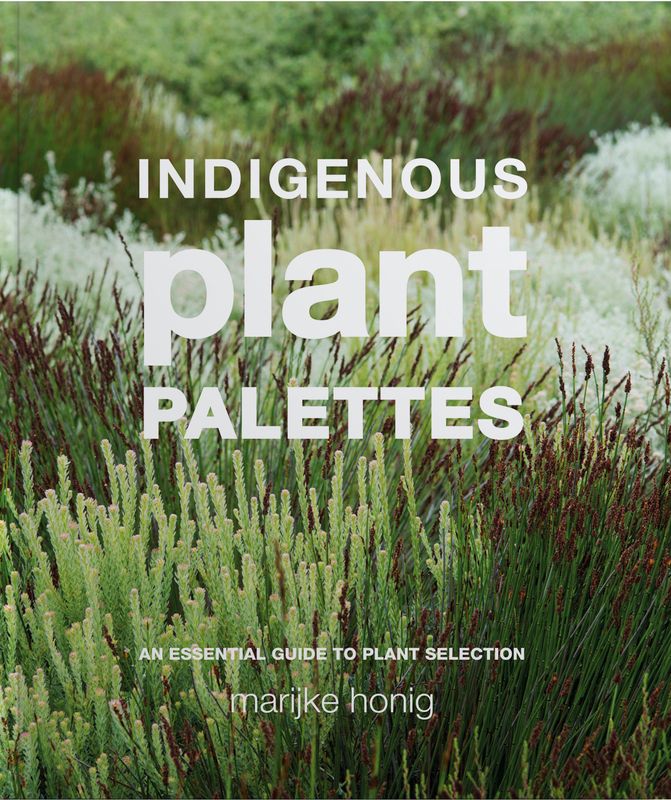 The beautifully illustrated plant palettes detailed in the book cover all kinds of local garden scenarios, from plants for hedging and security, to edibles and fragrance. 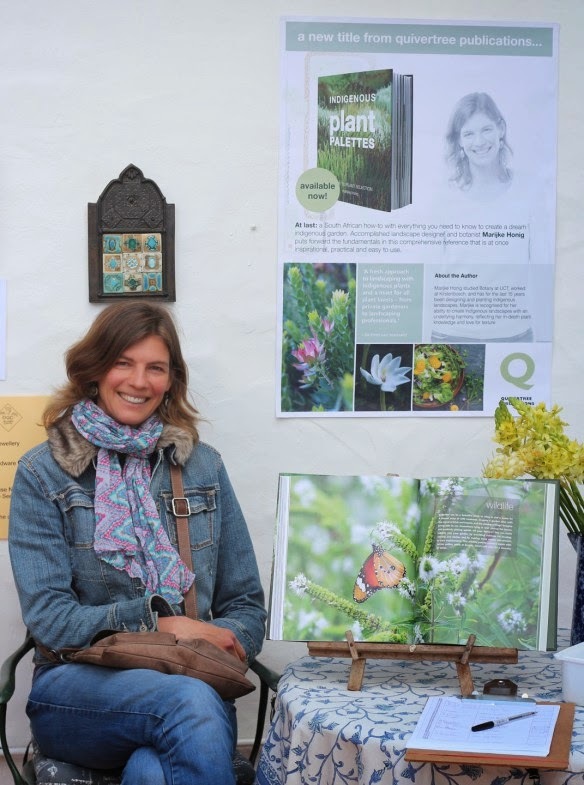 Marijke (above, with her book) is a friend of mine, and a well known landscape designer. 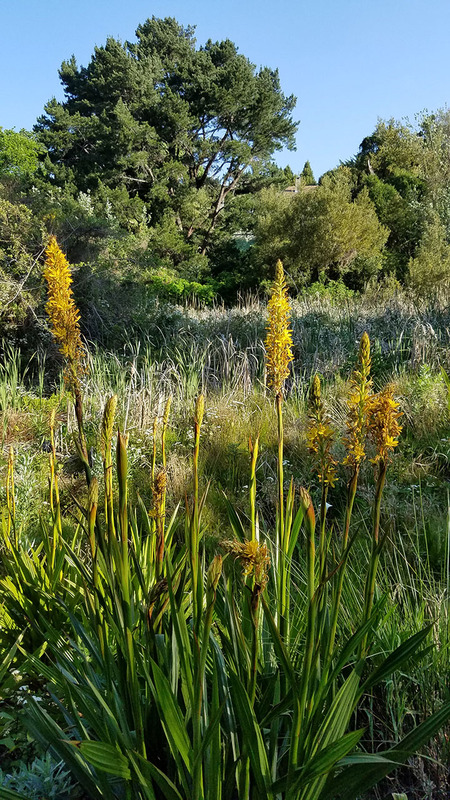 In Cape Town you can see her work at the Biodiversity Showcase Garden in Green Point, whose plantings she designed. 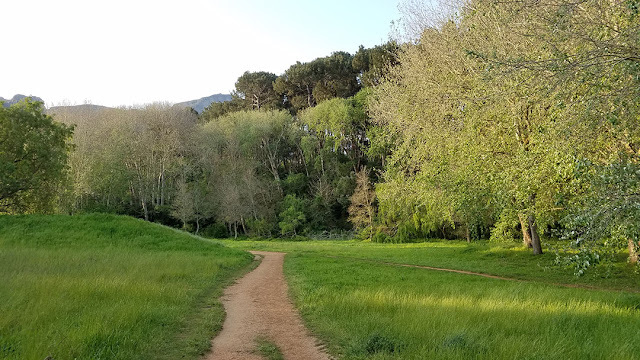 We went for a hike the other day on Table Mountain, a real privilege, both for the beauty of the fynbos and for Marijke's botanical knowledge. It's like walking with Google, with the best search result available at once. 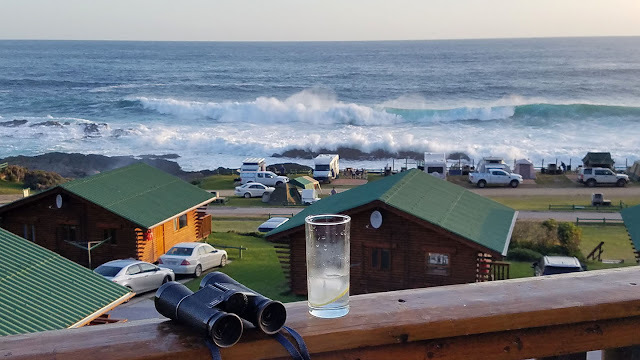 After seven long hours on the road from Cape Town to Storm's River, it was a relief to reach our roomy wooden chalet perched at the highest spot above the crashing waves of the spectacular Tsitsikamma National Park. We had been checked into the park by a very efficient and friendly SAN Parks staff employee, who dealt with a long line of tired and impatient Dutch and German guests (we were the only South Africans at that time) as we all poured in from various corners of South Africa, stiff from driving, hungry for showers, clean beds and the views we knew were around the corner. Below the chalets were the campers and their tents, right on the shoreline (where we had stayed, before), with a very high tide sending waves roaring over the rocks. In the blue valleys between the waves we spotted pods of dolphins, who stayed and played in the huge breakers for hours, with more elusive whales blowing in the background. The Frenchman was in heaven. Seeing him unfettered and trigger happy made me smile. All around the campsite fires were lit, with embers sparking as people began their supper preparations. We lit our braai on the incongruous set up - an iron grid and ash box attached directly to the wooden railing of our high wooden balcony, and rather wobbly. It would take only one very heavy person to lean against it and go whoops right over the side - I cannot imagine this in America, but in South Africa perhaps the need to braai wins. It is like an inalienable right. (There was a second braai on the private patio below, reached by steps.) What did we cook? Chops, I recall, and boerewors, with a salad of cucumber and tomatoes. Red wine. Basic, happy food. It was cold, and we sat outside well wrapped, later sliding between crisp white sheets beneath layers of comforters and blankets, falling into a sound sleep to the boom of the surf. Early the next morning our blue view brought a lump to my throat. I know these creamy seas. I swam in this water and these waves every childhood summer until I was an elderly teenager. Not right here, but a few dozen miles further west, at Plettenberg Bay. A strong swimmer, I lived in this sea. 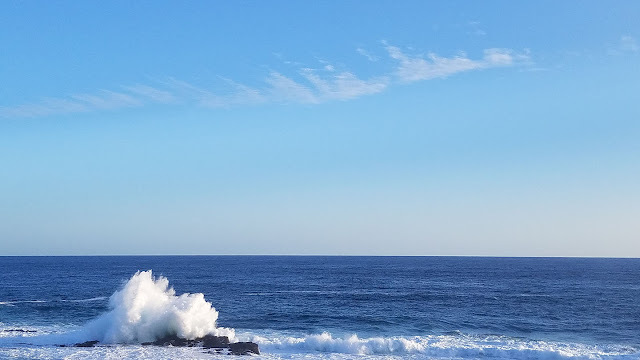 Hearing and smelling and seeing the powerful surf - quite different from Cape Town's colder water - brought back physical memories and longings I can barely articulate. 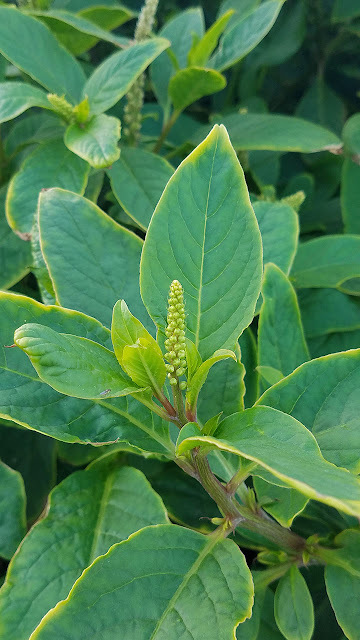 In the morning on a short walk (we had to check out by 10am and drive on to Addo) I spotted pokeweed, a species I had never seen. My friend Don offers Phytolacca octandra for identification. Even though it was still spring, and the night had been very cold, the plant was at the maturity stage I would expect in late summer, Stateside (from Phytolacca americana). I'd love to see its earliest shoots and test how succulent (or not) they might be. We had time for a walk across the little beach and onto a long and sinuous boardwalk that snaked towards the river mouth in the forest before heading back to pack the car again. But Storm's River has been discovered and can be a busy spot - very beautiful, but now too trafficked for my taste. I noticed with some amusement (because I loathe racism), a rising xenophobia and antagonism in myself as European and Asian visitors brushed past us without greeting, talking loudly, behaving like tourists anywhere, oblivious of the birds in the canopy, the possible Cape clawless otters on the rocks below. Most South Africans will look you in the eye and greet you, just a smile or a nod, or an actual hello - I find it charming, and I felt cross and resentful that Foreigners had not adopted this etiquette. I needed to get further away from people. Fortunately, we were headed in the right direction. Before you can go on a self catering roadtrip you have to pack. That's the fun part. The Frenchman and I did not have much time to prepare, so it's fair to say I winged it, with food. But we know our habits well, by now, and knew we had seven days' meals to organize. We knew that we really only eat dinner, that breakfast is good espresso with hot milk and rusks to dunk, that lunch is opportunistic - a lucky dip into a large snack bag that contains an assortment of dried fruit, biltong and droewors (dried South African sausage), that wine every night is imperative and that I will die if I do not have fresh fruit and Green Things. 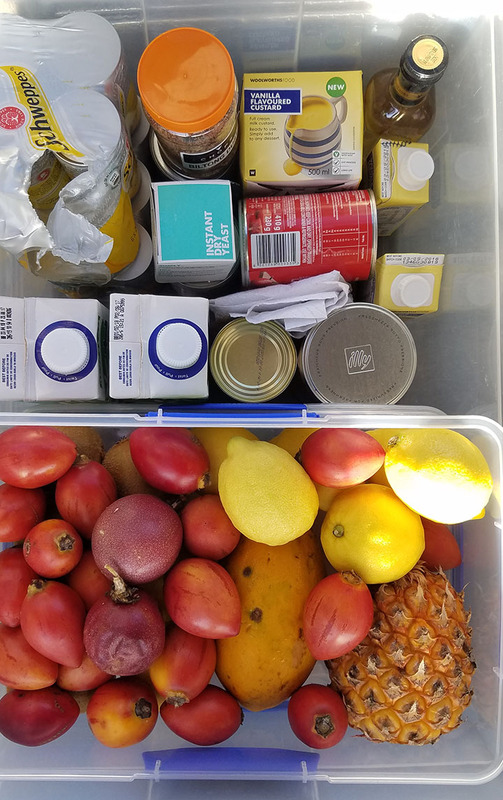 Into our big plastic container went two smaller ones: one stuffed with fruit that could travel well or ripen en route: kiwis that began rock hard but which were tender and sweet on Day 5, tamarillos, perfuming the whole box, a small papaya, passionfruit from the vine at home, a pineapple. Lemons. Because who can travel without lemons? In the other small container went potatoes - sweet, and regular; a huge head of garlic, onions, avocadoes and tomatoes. In the loose part of the large box went the dry goods: long life milk and Illy coffee for breakfast, flour and yeast for the bread rolls that I made en route (with foraged sweet white clover) and cooked over coals, a small bottle of olive oil, ditto white wine vinegar, a small jar of salt, a larger one of sugar (we used the very last spoonful on the very last day), a baby pepper mill, canned tomatoes, tomato paste, crackers, custard for the Frenchman and tonic for our sundowners. And nothing could rattle while we drove over rough roads. I hate rattling. In a small coolbag with some dry ice went the fresh lettuce - an iceberg hybrid that looks like romaine, an excellent traveller. Rosemary and marjoram from the garden in a ziplock bag with a damp paper towel, red cabbage (indestructible), tiny cucumbers, hearty brown bread, butter and cheese. One serious cooler held our main course supplies, frozen, with dry ice - and kept frozen overnight at every stop (we stayed in SANParks - South African National Parks - bungalows all the way, except for our last night). Lamb, lamb, and lamb. In various forms. 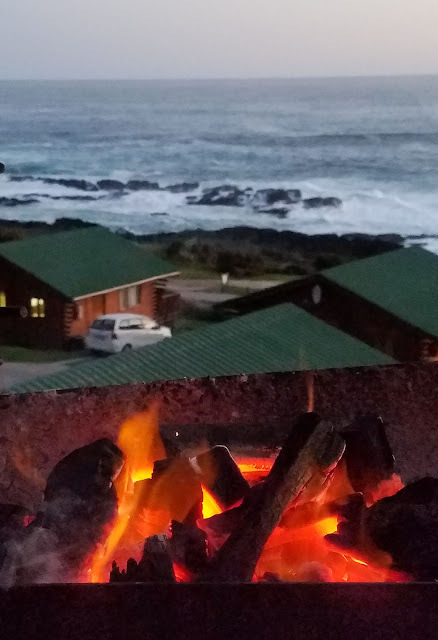 Almost every meal was cooked over the red coals of a fire, to the tune of a thundering Indian Ocean surf, rumbling, browsing elephants, the evening song of fiery necked nightjars in Eastern Cape thickets, and the caterwauling of jackals, high in the dryness and red dust of the Northern Cape. 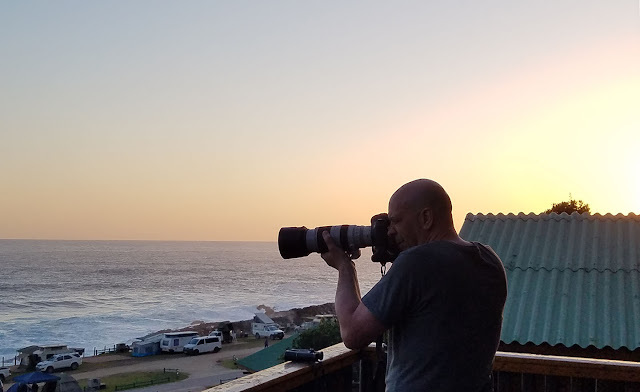 South Africa is a country of magnificent landscapes and wild geographical and climactic contrasts, and we packed a kaleidoscope into a week and just under 3,000 kilometers. I no longer take the ability to remember anything for granted. But while we have them, these memories will be sustenance. Ballast for bad times where the noise from upstairs makes Brooklyn nights impossible to sleep through. Antidotes for days when barking dogs and blaring horns and entitled white folk (at least where we live) believe their world is the only one. Something to savor when we talk about what life can really be like. 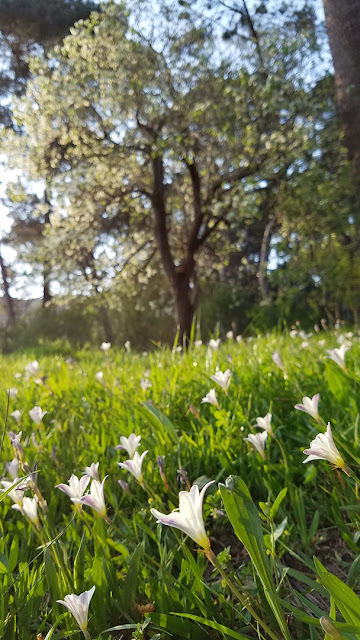 Sparaxis elegans, an indigenous spring flower, is blooming in drifts near my parents' house in the greenbelt - a green and public right of way - that shoulders their property. 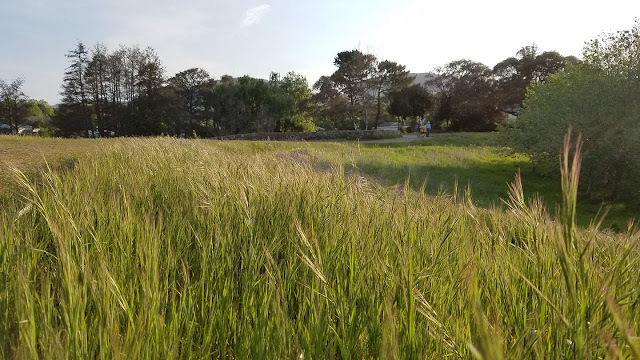 For the most part, exotic and invasive plants are making life difficult for the native flora that should thrive, here, but the sparaxis plants are toughing it out, dogs and foot traffic notwithstanding. The tree is the background is a pear in blossom, a possible relic of old farmland. The Frenchman and I went for a walk here soon after landing. I spent my days in this pretty green place in my early teenage-hood, stalking tadpoles and watercress, walking with our own dogs, sometimes followed by a cat (Garfunkle, black and white, who often shouted for me to slow down). 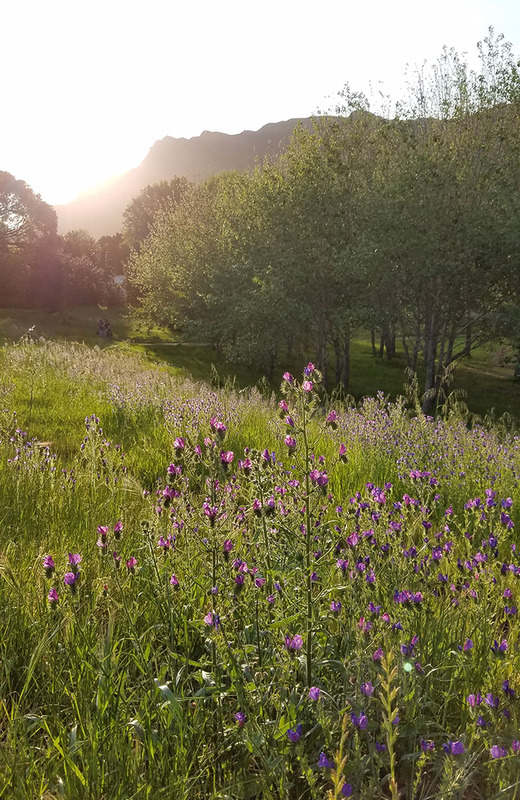 It is late spring in Cape Town. The equivalent of early May in New York City. Leaves are new, grasses are beginning to flower. We met a group of American tourists being guided along the path. We saw two Cape chameleons having a fight, and a third on the tree where we often see many. Small girls rode horses, and our own corgis overtook us even though we had not invited them along: they went out walking with my dad, who sits on a bench here for a long time and looks at things. He was surprised but happy to see us. He forgets most newly acquired facts. The surprises of vascular dementia. Roses ramble up the outside of the living wall that hedges my parents' garden. They were planted decades ago and fend for themselves. 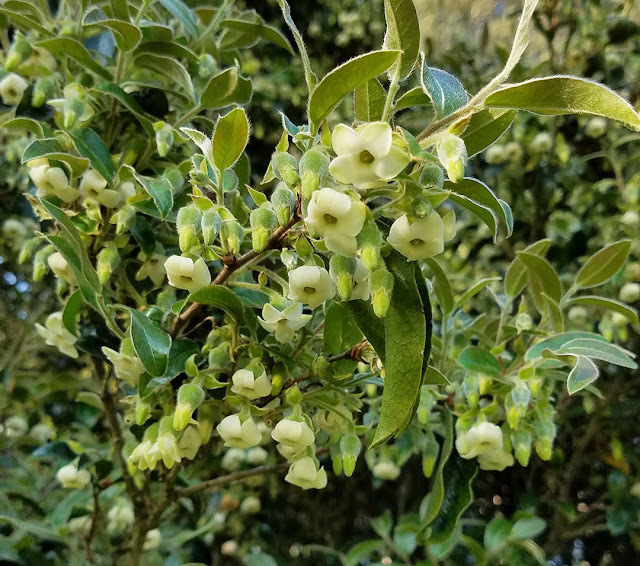 My friend Don identified this tree - Diospyros whyteana, a South African species of persimmon, commonly called bladder nut. 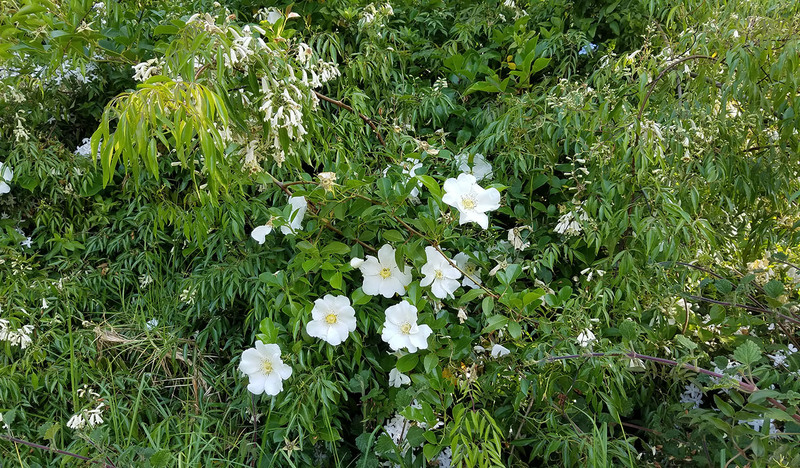 I had never seen it in bloom, before. My mom has three in front of the house, looser limbed, and I still did not recognize it. And higher up, where very few humans and dogs walk, statuesque Wachendorfia thyrsiflora. 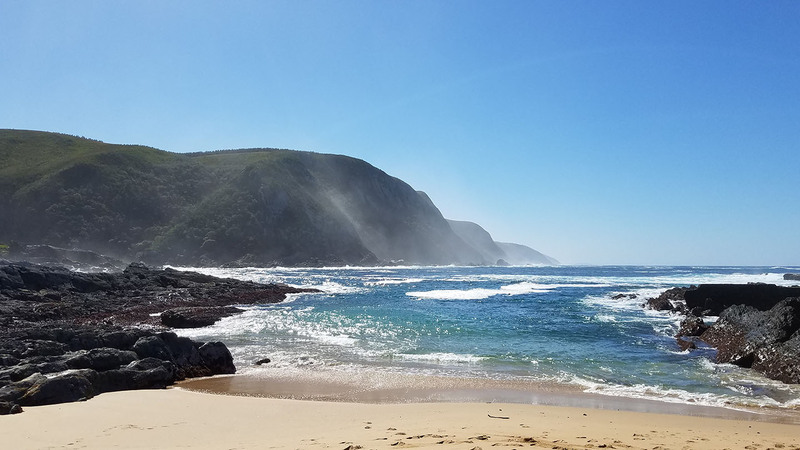 Soon, we leave on a little roadtrip, following the south coast to the Eastern Cape, and then straight up north through the Karoo and into the Northern Cape, before doubling back to Cape Town.